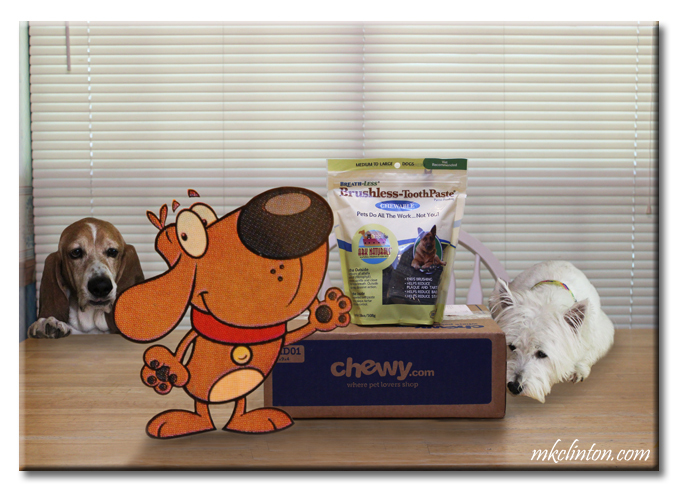 Pierre: “These chews are developed and formulated by the executive director of the American Holistic Veterinarian Medical Association, Dr. Nancy Scanlon D.V.M., and Dr. C. Leigh Broadhurst P.H.D. That fills me with confidence along with the ingredient list. Sugar the Golden Retriever & Oz the Terrier! They are really great and the boys LOVE them! Ooohhh...I love the breath freshener idea and the heart shape is perfect! I bet your breath is positively smoochable! Never heard of this product before. Thanks for the review. Ooh, ooh...I'll have to add this to our auto-ship! They come in different sizes but his one is great for the boys. I love surprise boxes! I really need to get one centered around the dogs. That one sounds like a winner! Chewy.com is always surprising us with goodies! We love working with them. oh man those look good! I gots to get Ma to get me some of those! They look mighty tasty fursure!!!! Murphy will love kissing you even more after one of these chews. ♥ Maybe your email got dumped in your spam box. I got mine right after the 4th of July. 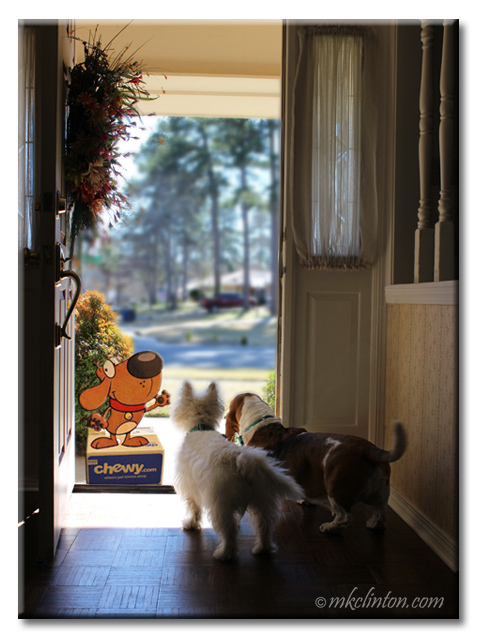 We love it when packages come and they're for US! Our last order had fish skin jerky, so SHE would appreciate some sweet smelling tooth stuff! The boys think that ALL packages are for them and they are usually right! LOL! These will "reel in" that fishy breath! This sounds like something we definitely need to try. No one will tolerate teeth brushing around here, so we need all the help we can get! We wish there was something like this for cats. 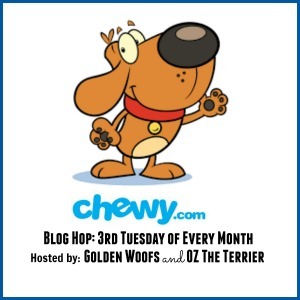 Maybe there is...we should check the Chewy site. Ark Naturals has a water additive for cats! We support all dental hygiene! We have to keep our breath fresh for the girls, am I right?! BOL! those look interesting! they look pretty happy to get one! 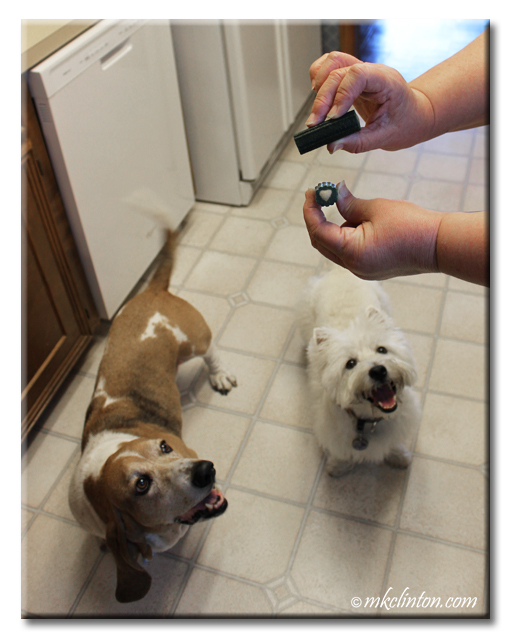 We love dental chews, they're part of our oral care since Ma can't seem to get it together and brush our teeth! I like that they have cinnamon and cloves in them, delightful! But Bentley, you are always kissable, with or without cinnamon & cloves! Good dental health is "Impawtent"! I wanta be kissable. I'm gonna add it to my wish list right now! Thanks for da lead and review. How cool that Chewy stocks Ark Naturals. My Aunt Karen used to work for them. Glad you guys liked the product.